In two steps, solve this requirement. Contact to your hosting provider to know the procedure to get an SSL certificate installed within your website. Once the certificate is properly enabled, you can access your site by using https (with “s”) in the URLs. Go to https://www.yoursite.com - if the page loads fine without warnings, it confirms you’re ready for the next step. 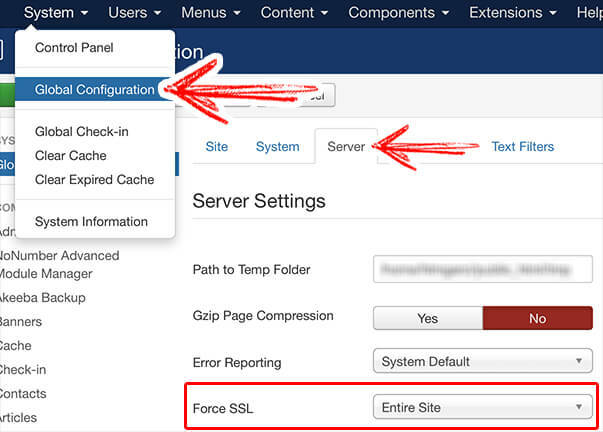 From now, your Joomla site will be protected; you don’t need to worry about login from a public WiFi. Your login details will be encrypted.